Fate has a funny way of working itself out, especially when chance encounters play a large role in determining ones future. Destiny can come knocking even when least expected. Case in point - the life of singer Nicki Bluhm has been transformed overnight and fate has played a large part in her success. The rising star was noticed at a party by Tim Bluhm of The Mother Hips and the two tied the knot shortly thereafter. Since then, Nicki has been touring in support of her new albums, sharing the stage with countless bay area musicians and recording with some of the best in the industry. 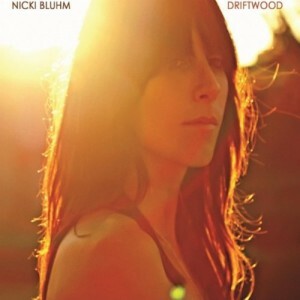 Look anywhere and the name Nicki Bluhm will appear. Whether at big festivals, small clubs or outside theaters, Nicki is gracing us with her presence and leaving lasting impressions in our hearts. She’s got charisma, beauty and amazing style with a voice like a Country music star from Nashville. Nicki is definitely living a fairy tale life and headed on a path many would love to have. I’d say that Nicki has to pinch herself every day to bring her back from the dream she is now living. If music didn’t take priority, horses and teaching would have been her full-time passion. Now, Nicki can have it all as she climbs the ladder of success and creates the perfect balance of everything that is dear to her. It’s obvious that Nicki has been given an opportunity because of the people around her. But, she’s got the staying power, raw talent and class that it doesn’t matter. She’s a sweetheart in person, can command a full band on her own and audiences will love her in the coming years. Nicki is in her element onstage and it is a treat to watch her perform. She has been connected to the right people in San Francisco and hitting the road with several bands. 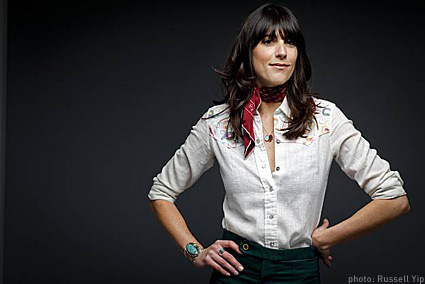 One of her acts, Nicki Bluhm and The Gramblers features Steve Adams on bass (ALO), Deren Ney on electric Guitar (her childhood friend), Dave Mulligan on acoustic guitar (Red Shoes), Mike Curry on drums and her husband Tim Bluhm on guitar and vocals. Sometimes the band has the honor of having Steve Taylor sit in on keys. Nicki is also part of a new conglomeration of bay area musicians called Brokedown In Bakersfield. The band made its debut this summer at The High Sierra Music Festival and may continue to tour and record in the coming months. What started out as an idea now has some strength as the band thinks about the future. Nicki’s new sophomore album Driftwood is a masterpiece from beginning to end and has my vote for album of the year. Ingrained in the lyrics are heartfelt and passionate thoughts about relationships and love. Many of Nicki’s friends have collaborated to make this an award winning production. The first song Carousel is a gem and one of those heartbreak songs with a great hook and memorable chorus. Ney’s electric guitar screams with emotion in the solo while Nicki sings backing vocals as the song fades out. The next song, Before You Love Me starts off like a ballad from the ‘50s, but, half-way in the melody switches gears and becomes something else. Just like Maria Mauldaur or Bonnie Rait, Nicki’s vocals rock with the music and show us her wide range of styles as it ebbs and flows between soul and blues. Stick With Me is a duet with her husband Tim Bluhm just like Johhny Cash and June Carter did many years ago. Nicki and Tim are a perfect fit and their harmonies are wrapped around each other like they have been singing together for decades. Mountain Out of Nothing should be played on every radio station in America and is flawless with its production. Curry’s drumming skills on this track are just the right touch - simple in execution and tasteful in style. Jetplane is another song that I could listen to over and over again with Nicki’s soaring vocals out front and the rest of the band right behind. Steve Adams’ bass is always in the pocket and I recently learned that he can sing too. At a show in Felton last week at Don Quixotes, Adams took the microphone for one song and wowed audiences with his singing ability. For a Wednesday night, there was a decent crowd in the beautiful back room of Don Quixotes. 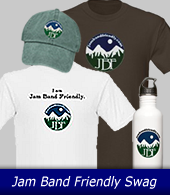 The band was in good spirits and played a dozen songs until it was time to say goodnight. When the crowd screamed for more, the band came back for an encore and closed the night in spirit. Nicki and I talked on the outside porch of the green room on two folding chairs in a back-alley garden. With a Budweiser in hand, dressed in jean short-shorts, a white blazer and cowboy boots, Nicki carried herself well and exhibited a level of confidence only some can maintain. She's ahead of her time, a rock star in the simplest sense of the word and has a career that's only just begun. Outside Lands has become a special festival in San Francisco. How was the weekend for you? The weekend was amazing and definitely a build-up because it’s our home festival and a big deal in the bay area. There are so many bands and you only get to play it one time without any repeats. We only have one shot to make it good and it put’s the fire in you to make a great performance. We had a great turn out and the band was feeling good. Life was a little different before you met Tim. What were you doing and what were your goals back then? I was living in San Diego, living on a ranch and taking care of horses. I got my teaching credential and thought about either teaching full-time or a life with horses. I always liked to sing, especially since I got my first guitar when I was 17. It drove my roommates crazy because I was pretty clumsy on it. I then realized how enjoyable it was to sing to an instrument and I kept doing it. Whether playing for friends or in my bedroom it was always something I loved to do. And then I was at a party when Tim heard me. Having him react in such a positive way was different than how I interpreted feedback from friends or family. They are supposed to say those things. But, with Tim I respected him so much as a musician that I was really surprised the way he reacted. That was inspiring and I believed it - which in turn made me want to do it more. It seems that you are so comfortable onstage and a natural when performing. What do you do right before a show to get focused? I am trying to warm up my voice before a show and it helps doing a lot of shows in a row. The more I sing the warmer my voice is. Or course sound check is so important for singers and getting the stage mix just right. It is hard to enjoy singing when you can’t hear what you need to hear. From your perspective, what is the relationship with the audience that you have onstage? Who do you connect with and how is that important to you? It’s definitely important for this band because we ask the crowd to participate. The vibe of this band is to perform, party and have a mutual interaction with the crowd. It feels good when the audience is in good spirits because that’s how we feel in return. The more reactive a crowd is the more fun we have onstage. Your new album Driftwood, what was the process like for that and who worked on it? It was recorded at Tim’s studio Mission Bells in San Francisco. They are so busy there with clients, so I had to slip in with some really tight window’s of time. In between bands, we would go in and work on our material for about a year. The core band plays on a lot of it and then we also had friends come in to help out. Dave Brogan (ALO) played, also Dave Ralicke (Dengue Fever) and Tim Carbone on fiddle. Having a studio in San Francisco, we have accumulated this family of musicians and friends who all help each other. Just last night we were playing in a country band with members of ALO, the Mother Hips, my band and Scott Law called Brokedown in Bakersfield. It’s a collection of good people wanting to make music. The song Jetplane, where did that come from and what lead to the making of it? Jetplane was a song that I thought of one day while playing the guitar. If I can remember correctly, Tim challenged me to put the word in a song, but I’m not sure why. Sometimes I sit down with a guitar and come up with a melody and then subconsciously I will say whatever comes out and record it. I figure my subconscious is very telling in something that I am feeling. Maybe it doesn’t make sense, but to me it usually does. I like songs like that because you can interpret them whichever way you want. What were you doing musically in high school? What concerts did you see? The first concert I ever saw was George Strait, so I was into country music then. Deren my guitar player used to travel around with his guitar and we would play and sing songs together. He and I have known each other since first grade. We both really loved The Mother Hips and listened to a lot of records through high school. Besides a casual interest in music I was really into riding horses and hanging out with my friends. What's a “Grambler” and what’s the significance of your band name? Greg Loiacano, the guitarist from The Mother Hips made up the word after one of their fans. Apparently, the person was partying and wandering aimlessly around our area. You can interpret it anyway, like not showering for 5 days, being on a bender or even a musician in the band playing music. It could be a fan following a band on tour for weeks at a time, thus a “grambler”. You have been sharing the stage with a lot of people recently. Who haven’t you played with that you would love to be onstage with. I would flip if I could sing a song with Bonnie Rait, she seems so dear, real and sweet. Growth is very important to a musician. I'm curious how you have grown over the last year? Being in a band with Tim at first was a little intimidating. He was someone I looked up to for a long time and it’s taken a while to be the leader of this band. He is busy with The Mother Hips and in the studio. so he’s not always available to perform. I miss him when he’s gone, but when he is with us, it’s good for me to step in and really take the reins. Now, when he joins back in, I have to say, “Honey, we do things a little differently now. You are going to be over there and I am going to stand here”. In terms of confidence, it’s been great for me to step up and gain that trait. It was totally necessary and sometimes in life we don’t have choices. You either do it or fail. You have a full schedule this summer and into the fall. What are you thinking for the coming year and 2012. We are currently talking about our next record. It feels like we are on an upward climb and want to keep going up and up. The only way to really do that is to get another record out quick and better than Driftwood. It won’t be hard to top, but we are excited for that challenge. You can do no wrong Nicki, the press is raving about everything you are doing. Have a great rest of the year and thanks for your time!